Hoya (Hoya spp. ): growing, planting, caring. Asian tropical climbing plants with superb inflorescences. Scientific name : Hoya spp. Full description for Hoya spp. not yet available. 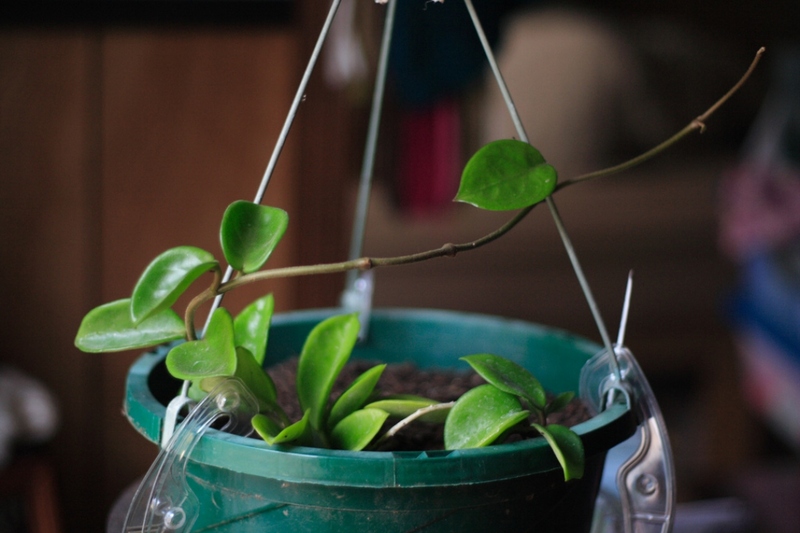 The Hoya bear waxy-looking leaves, simple and opposite, often thick or succulent, green. 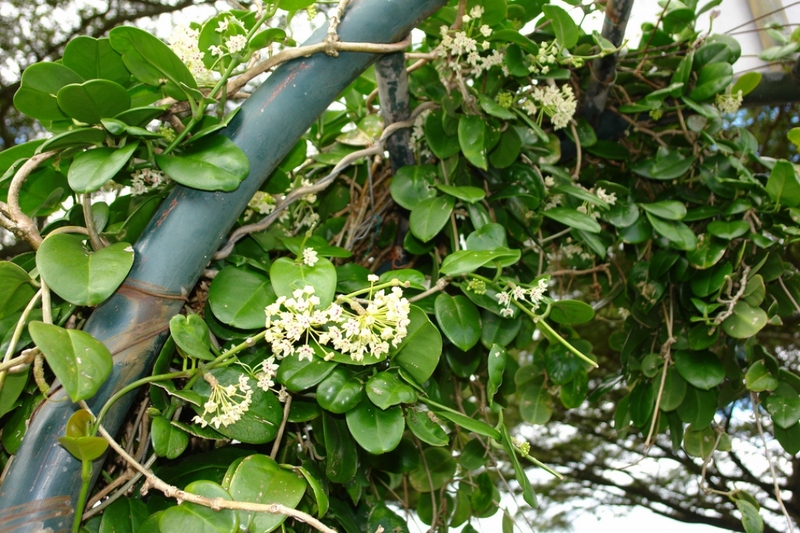 These climbers have a falling habit unless tied to a vertical support. Their inflorescences appear between March and November, they are hemispherical, composed of flowers with five petals and five sepals. 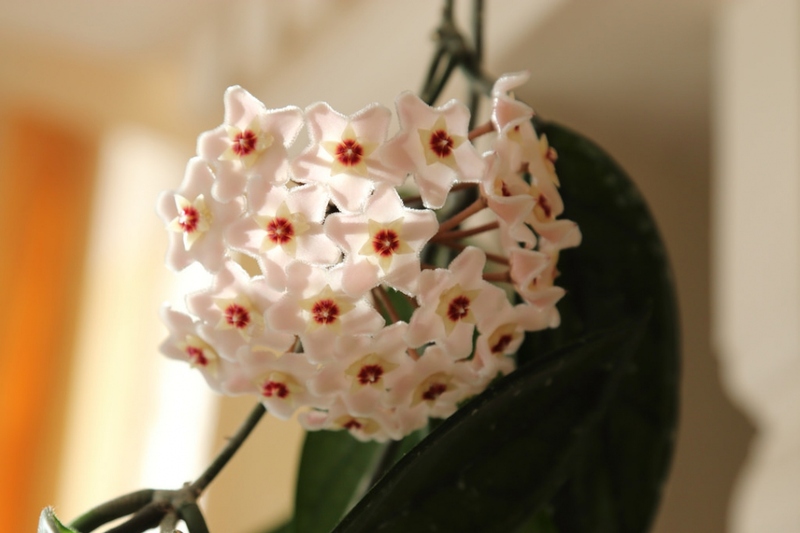 Plant your hoya in a mix of potting soil, sphagnum and sand, in a pot, indoors. Provide a dim lighted location in a greenhouse. Hoya do not like excessive watering, nor limestone. To overcome the dryness of our interiors, prefer drenching the bottom of the pot only - to avoid soaking the roots - every 3-7 days. The rhythm changes to watering every 15 days during the winter. Use lukewarm rain water in the morning to allow the pot to dry during the day. Never wet the core of the plant. Between March and September, you can boost your hoya with a liquid fertilizer rich in potassium - long live the compost juice of banana peels! Put it in every 15 days. Watch out for red spiders, aphids and scale insects! First, these infamous red spiders! They're actually not spiders, but a type of mite. They absorb the content of the cells, causing the leaves to turn a marbled yellow-white-silver, and we can often observe fine spiderwebs. These mites mainly attack the back of the leaves. To verify their presence, moisten a cotton ball and swab underneath the leaves — you'll notice tiny little red marks. To get rid of them, know that these spiders hate water! Prepare a black soap based solution: 20 g of soap, one liter of water and 30 ml of methylated spirits. For aphids and scale insects, try sodium bicarbonate (one teaspoon per liter of water, adding in some soap).